Braven let us know that they have released their latest speaker to the Braven 800 series, which is the Braven 805. Braven is by far on of my favourite speaker brands simply because it works well, and has many useful usable features. Braven 805 is without doubt, with the similar functionality, just that since this is intended for home use, it does not come with the water proofing features. Offered in nine striking colors, the BRAVEN 805 can vibrantly accent a kitchen counter and living room table with vivid magenta, orange, and red color ways; or can blend into a bookshelf with neutral white, gray and black hues. 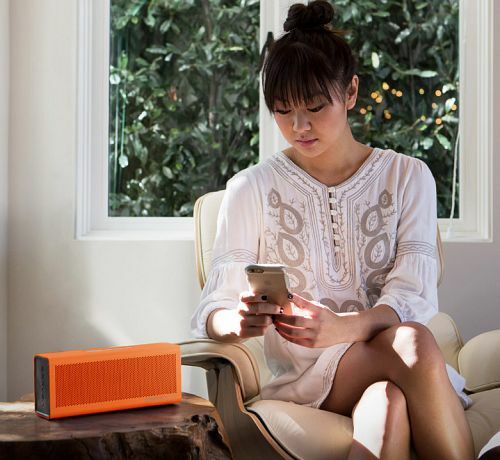 Bright or subtle, the BRAVEN 805 has the elegance to satisfy even the most demanding taste, and the bold colors and amazing HD sound to set, enhance or create any mood. BRAVEN’s 805 features a unique combination of sound quality and added features, including speakerphone capability with an integrated noise-canceling microphone and the ability to charge USB devices, with a powerful 4400 mAh portable battery bank. The BRAVEN 805 is also equipped with TrueWireless™ Technology to pair with a second BRAVEN 805, 850, 855s, 1100, and BRV-HD speaker for left and right channel stereo sound. The speakers will be priced at us$199.99 from Braven and it should make its way to amazon soon.